Saperavi is one of my absolute favorite grapes. It is capable of a wide range of expressions, as well as extended aging, and Saperavi wines often present an unbeatable value compare to any wines in the same or even higher price category. Saperavi is typically associated with the Republic of Georgia, where it is an undisputable star, but it is slowly gaining its enthusiastic following in the other regions. This grape also became a connection point between myself and Rich Rocca, whose passion for the Saperavi is unquestionable, and I’m always looking forward learning from Rich as to what is going on in the world of Saperavi, especially considering his focus on the New World regions. I thought it would be perfectly appropriate to offer pages of this blog for the guest post from Rich, who shares his quest for Saperavi below. 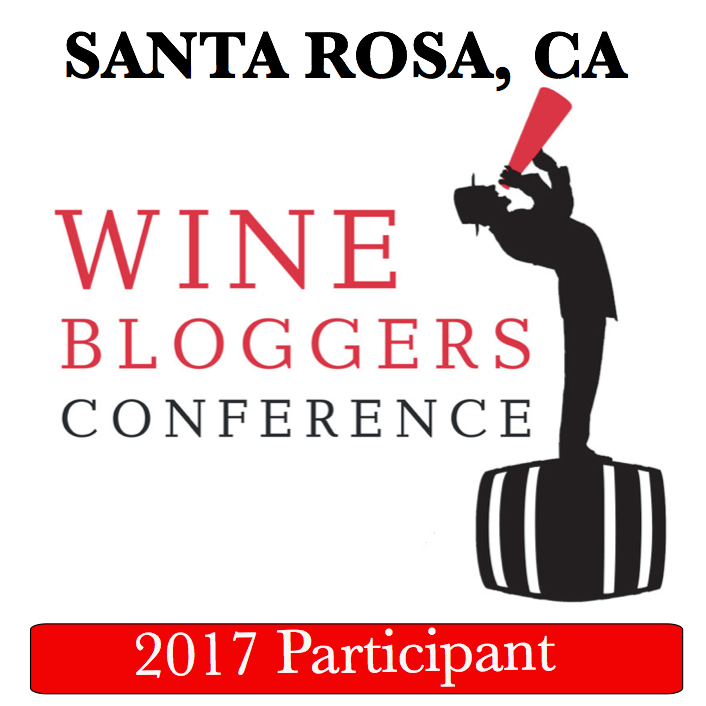 My name is Rich Rocca and I write the wine blog wpawinepirate. I have covered a wide variety of subjects in my posts but the primary objective has always been to provide my readers information about the wineries and vineyards in my home region of Western Pennsylvania. The Finger Lakes Wine Region of New York (FLX) has also been of great interest to me. I have made numerous trips to the FLX and it was during these visits I discovered Saperavi. Anatoli and I became friends after we began exchanging our thoughts concerning the state of Saperavi in America and even Saperavi wine itself. Those years of accessing the progress of this grape eventually lead to Anatoli’s gracious invitation to write a guest post on his blog which I eagerly accepted. Saperavi has always been a “Secret Handshake” type of wine that you either knew about or you didn’t. Here’s your chance to get into the club but unlike in the past don’t keep it to yourself and spread the word about this rising star. The vintners of the Northeastern United States have long searched for a red wine grape that could be their signature grape. Over the years several have been on the cusp of becoming the iconic red wine grape that would be identified with the region for producing world-class red wine. Vintages of Lemberger and Cabernet Franc have produced stellar wines that can hold their own with other regions but just couldn’t elbow their way through a crowded field of reds for the attention of the wine drinkers of the Eastern U.S. and beyond. The fact that you are reading this post proves that you have a curiosity about something new in a world full of wine that can be overwhelming at times. The following is a summary of information I have gathered over the years about this intriguing grape from the winemakers and vineyard managers who know it best. Saperavi is an ancient grape that can trace its origin to the Kakheti Region of Georgia and the surrounding regions as far back as 6000 B.C. Saperavi is a teinturier-type grape, which means it has a dark skin and a pink-tinted flesh. A teinturier variety of grape will produce an intensely colored juice when crushed because both the skin and flesh contain the water-soluble pigment anthocyanin which is responsible for giving fruits and vegetables their red, blue and purple color. Saperavi is a very adaptable loose bunch, late-ripening, cool climate grape variety that can produce large yields without sacrificing much in the quality of the fruit. These vines are able to thrive in cool climate regions even at high altitudes because they have above average resistance to cold temperatures. A more cold/frost tolerant hybrid called Saperavi Severny has been developed by incorporating genes from the hardy Severny grape. Traditionally Saperavi wine has been blended with lesser wines but recently it has been gaining popularity as a varietal bottling. A common translation of Saperavi is “dye” because it makes an extremely dark colored wine. Saperavi wine is known for having good acidity and firm but not overwhelming tannins. It is these attributes that make it a wine that takes well to aging with some examples being found to have aged nicely for fifty years. Georgia recently has had political problems with its neighbors over the export of wine, notably Saperavi, but that is a blessing in disguise because it is diverting more wine to the world market. When talking about Saperavi I can’t contain my excitement and expectations for the wine being grown and made in the United States. I have coined the term “New World Saperavi” for the wine being grown and made by three wineries in the Finger Lakes Wine Region of New York and one in Central Pennsylvania. In the FLX Saperavi is being grown and made at Dr. Konstantin Frank Vinifera Wine Cellar by Fredrick (Fred) Frank, the son of Willy Frank and grandson of Dr. Konstantin Frank, two legendary winemakers. Saperavi winemaking is well established at Standing Stone Vineyards thanks to Martha (Marti) Macinski (owner/winemaker). She is one of the pioneers of Saperavi in the FLX and is making her wine using grapes from her ever expanding Saperavi vineyard, arguably the largest in North America. Anyone familiar with FLX Saperavi knows John McGregor at McGregor Vineyards the maker of McGregor Black Russian Red. This wine is often referred to as “THE” cult wine of the FLX. McGregor Black Russian Red is a unique blend of Saperavi and Sereksiya Charni and is only produced at John’s Keuka Lake winery. The only other producer of Saperavi outside of the FLX is Fero Vineyards and Winery in Lewisburg, Pennsylvania. Chuck Zaleski is the owner/winemaker at Fero and as his award-winning Saperavi vines mature he has been experimenting with different wine making techniques and styles to capitalize on the distinct characteristics this grape exhibits. Fero isn’t the only winery exploring the possibilities of Saperavi, all three of its counterparts in New York continue to hone in on their particular vision of what Saperavi can be and what styles it can be made into. Their success isn’t going unnoticed as more vineyard managers are planting Saperavi but the addition of newly planted acreage is slow. There are several factors that have hindered the spread of Saperavi not the least of which is the scarcity of the vines themselves. Two eastern wineries that have young Saperavi vineyards are Knapp Winery in the FLX and White Barrel Winery (formerly Attimo) in Christianburg, Virginia. Anyone considering adding Saperavi to their property can start their search at Grafted Grapevine Nursery Clifton Springs, New York, a longtime supplier of Saperavi and other varieties to the wine industry. The next stop on our search for “New World Saperavi” is Australia. South Australia to be more exact, home to Dan Traucki, wine industry consultant, Director of Wine Assist Pty Ltd, freelance writer and my newest friend in the search for Saperavi wherever it may take me. Through his articles and our correspondences, Dan has given me an insider’s perspective of the current state of Saperavi and other lesser known wines being made in Australia. Australian wine production from its approximately 4000 wineries is dominated by Shiraz and Chardonnay making competition for market share acutely competitive. Fourteen ground-breaking vineyard managers have taken the speculative position of planting Saperavi in their vineyards. The majority of these plantings are in the warm climate of the Barossa Valley and McLaren Vale Regions. Saperavi can also be found in the cool climate of the Alpine Valley Region of Victoria. The cool climate Saperavi produces a slender wine with an angular taste profile while the warm climate renders a wine of muscular body and vivid taste. I am interested in how Saperavi’s innate ability to express its terroir plays out when it is being planted in such a diverse assortment of locations around the globe. Even though these vineyards are planted in vastly different regions of the world there is a high probability that over the course of time the DNA of other wine grapes has found its way into the DNA of Saperavi as it has with all other “pure” strains of wine grapes. The vines for Australian Saperavi were sourced from the Archival Saperavi of Roseworthy Agricultural College. This noteworthy collection of vines has been amassed from vineyards worldwide over the past 100 years. With this thought in mind, I am sure that Saperavi produced anywhere will display the unmistakable qualities that we associate with it but will also manifest certain location-specific characteristics that will be inevitable because of its genetic tendency to adapt the growing environment. The history of the “Old World Saperavi” has been well chronicled over the centuries dating back to ancient times. Much of the craftsmanship used to make this wine has change little over time from the way it is fermented and stored in large egg-shaped earthenware vessels called Qvevri to the traditions of the Georgian communities that are as intertwined with this grape as are the Saperavi vines themselves. The story of “New World Saperavi” is still in its early chapters but luckily for us it is being written by skilled winemakers that are fearless visionaries when it comes to the future they see for their wineries. The possibilities surrounding this wine are fascinating and evolving with each new harvest. I am a curious person by nature and have always enjoyed learning about something new and exciting. I invite you to join me on this journey in the pursuit of an ageless red wine grape reinvented in vineyards a world away from its ancestral home by dreamers and risk-takers as full of life as Saperavi itself. 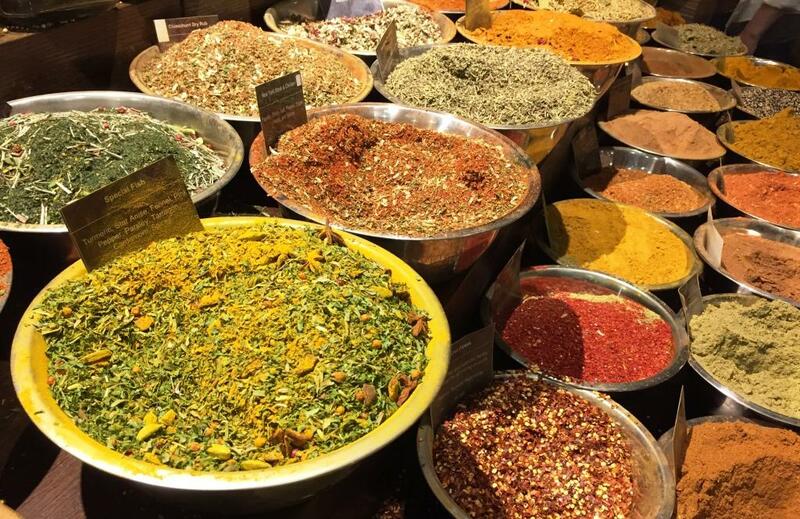 I urge you to indulge your inquisitive side and try Saperavi from anywhere in the world. I think you will be surprised and glad you got to taste something a little different. Does it make sense to write about a winery visit a year after? Well, I will leave you to ponder at that question, and will just go ahead with my post. We have a tradition which we keep going for many years now – adults getaway. One weekend in August, we all get together for the two days of food, wines, laughter and simply enjoying each other’s company. These trips usually take place within reasonable driving distance (3 hours or less) for all people in the group (we all live in a close proximity to the New York city), and winery is always a good choice for the first stop. Lucky for us, oenophiles, the wine bug caught up everywhere in the US, so there is no shortage of interesting wineries to visit along the East Coast of the United States. Our choice last year was the winery in Central Pennsylvania, called Fero Vineyards and Winery. The choice was not random – one of the grapes they use in the wine production is Saperavi. This is definitely not a common choice – however, a rapidly (I think) growing trend among Eastern USA winemakers, in Finger lakes and other regions. Having been exposed to many amazing Georgian wines, where Saperavi is a king, I was very intrigued at a perspective of tasting the local rendition of such wines. Had all the arrangements made to meet with Chuck Zaleski, a winery owner and winemaker at Fero. Chuck was taking time for this off his busy schedule, as he was participating in the town fair where he was pouring his wines. Just curious – do you think everything is going boringly well, or do you expect a twist in this story? So yes, the twist happened – in the form of a flat tire. About 70 miles down the road, the familiar sound appeared – anyone who had a flat tire knows what I’m talking about; if you never had one – keep it this way. Not a problem, I thought – while the spare tire is very awkwardly located in Toyota Sienna, under the cabin floor, right in a middle – at least I knew where it was. Next ten minutes of jumping around the car ended up in a grim realization – the spare tire was not there. Angry call to the dealer (luckily, it was Saturday) lead to a discovery – all wheel drive Toyota Sienna cars don’t have a spare tire as there is no space for it – instead, they are equipped with run-flats. To make long story short, after arriving with the smoldering tire to the closest dealership and waiting for about 3 hours, we were able to get on our way (of course I fully realize this was still a very lucky outcome). As we were at least 3 hours behind the schedule, the decision had to be made – should we visit Fero (Chuck, of course, was not there) or forget it all together, just drive to our B&B and relax after such an ordeal. I’m glad the love of wine prevailed and we decided to stop by the Fero Vineyards first. And we are done here. If you are looking for the great East Coast wines, Fero Vineyards must be on your short list. And who knows, may be you will be lucky enough to taste their Saperavi. Cheers! Today, I want to talk about wine and value. “Value” has an interesting meaning in the world of wine – may be as subjective as the concept of a “good wine” itself. To me, the value is not an absolute amount of money one paid for the bottle of wine – if you paid $3, but poured the bottle down the drain after half-finished first sip because it tasted terribly – was that still a “value”? Or was that a pure waste of money? By the same token, if the $20 bottle of wine gave you lots of pleasure in every tiniest drop (including the one you licked of the table), would that be a “good value”? Talking about the “value” of the wine, I prefer to use a proverbial term QPR, so happily adapted by the wine lovers – a Quality Price Ratio (this is what QPR stands for) conveys the “value” concept of wine a lot better than the sheer price itself. One of the easiest and most straightforward ways to classify and analyze thousands and thousands of wines produced today in the world is by region, as wines from the same geographic area would typically have some similarities. Thinking about all the different wine producing regions in the world, which region do you think delivers the best QPR today? I’m really asking here to think about the region as a whole, rather then individual wines. Yes, you can find delicious Napa reds for $10, but this is rather an anomaly, as on average, you need to spend at least $25 – $30 for a good bottle, so we are definitely not talking about Napa here. Thus the question stands – what is your best QPR wine region in the world? This question might be more difficult than it seems. Wine regions don’t stand still – they are constantly evolving. As the region becomes better known and more demanded, the price increase often accompanies this rise in popularity – which obviously affects the QPR. I used to consider Greek wines as a great QPR – but many Greek wines are now pushing the $30 boundary, while not consistent in quality – this immediately drives QPR down. I used to think of Israeli wines as a great value – but same thing is happening there, with lots of better wines moving north of $30, and wines under $20 been more of “hit and miss”. My next “go to” wines were Portuguese – but even here I now have a problem – wines under $20 are often only randomly tasty; wines at around $30 and up are consistently excellent, rivaling $100+ wines from the other regions, so in relative terms, they still offer a great value – but probably not the best QPR? You don’t have to take my word for it – you should find a bottle of Georgian wine and try it for yourself. I really hope you did just that last Sunday, October 4th, as it was a #GeorgianWineDay in the social media – and if you actually had Georgian wine, I’m curious to know what it was. In any case, let me share the notes for the wines I tasted at the “Discover Georgia in New York” event at the colorful Chelsea Market. Below are the notes, using the “+” ratings. Pay attention to the prices and corresponding ratings – don’t know what you think, but I think the “QPR” is spelled very clearly across the full range of wines I tasted. 2006 Wineman Cabernet Sauvignon Kakheti, Georgia ($10.99) – ++++, wow!, pick of maturity, dark notes, concentrated – another wow! What do you think? I understand that QPR is subjective and relative term – first, you have to like the wine, and then everyone’s idea of “value” is different – but I was (once again) blown away by the quality and consistency of what I tasted – I didn’t skip a single wine, those are all the wines which were presented in the tasting. This would make it 16 wines out of 16, which I would gladly drink again. I hope it gives you good frame of reference for my experience. Thinking about the wines of the world, what would be your top region for the best QPR? And if you tasted any of the Georgian wines, what is your opinion about them? Cheers! Wednesday’s Meritage – Wine Quiz Answer, Cost of Everyday Wine, National Chardonnay Day, What the MS Do? Let’s start with the answer to the wine quiz #103, Grape Trivia – Blends, Part 3. For the long time, the grape trivia series was focused on the single grapes. But now we are stirring things up, so all the questions in the quiz are about blends (well, even if it is a blend of one ), as most of the wines in the world are actually blends. This quiz’s focus was on the red grape blends, and as usual, it consisted of 5 questions. A1: It really wasn’t a tricky question – I believe if you carefully read the question itself, it should be clear that more than one answer is possible. Another reason that this was not a tricky question is that two Châteaux from that list of four are growing only Merlot grapes thus they never produce a blended wine. So the correct answer is a and d – both Château Le Pin and Château Certan Marzelle grow only Merlot grapes thus their wines are always made out of 100% Merlot. A2: While very unique and different for Bordeaux, all three of these Châteaux produce wines made from 100% Cabernet Franc grapes. A3: Bandol! Mourvèdre grape is the star in Bandol, with Grenache and Cinsault often added to the blend, thus we can say that the abbreviation for the Bandol blend should’ve been MGC. Q4: Sangiovese is a star grape of Italy, used in many regions and producing great range of wines. Montepulciano is another well known red Italian grape, most often associated with juicy, delicious and versatile wines made in the region of Abruzzo. If the wine is made as a blend of Montelpuciano and Sangiovese, often in 50/50 proportions (doesn’t have to be always 50/50), can you name the region where these wines would most likely come from? A4: Rosso Piceno is the red wine from the Region Marche which is often made out of the 50/50 blend of Montepulciano and Sangiovese. b. Sagrantino – Sagrantino is the unique grape in Montefalco DOCG in Umbria, Italy. c. Saperavi – Georgia. Actually Saperavi has a wide range of expression, but it is very much capable of producing extremely dense and concentrated wines. e. Vranec (or Vranac) – Macedonia and number of other Balkan countries. When it comes to the results, all the respondents voiced their concern with the level of difficulty of the quiz. It was definitely unintentional, but I still can’t promise that “I wouldn’t do it again”. Anyway, the Wayward Wine came the closest to the winning with 4 correct answers out of 5, and I would like to acknowledge both asueba and vinoinlove for their great effort. Well done everyone! First, I want to bring to your attention an interesting post and the poll at the Wine Curmudgeon blog, pondering at [almost] an eternal question – how much the everyday wine should cost? Yes, of course it all depends, but assuming that you drink wine as it gives you pleasure, what do you find to be a reasonable price of the bottle of wine? In this post, you will find both an analysis and the poll to share your opinion. The poll will be closed on May 22 and the results will be published on May 24th, so make sure to have your say before. What kind of wine to you plan to open on Friday, May 23rd? Well, you can open any wine, with one condition – it have to be the Chardonnay! On Friday, May 23rd, we will be celebrating the National Chardonnay Day, so it is obvious that Chardonnay for Friday is in order. California, Virginia, Washington, New York, Chile, New Zealand or Burgundy – you got plenty of choice and no excuses not the celebrate the noble white grape. [Updated after the original post date] It appears that it is Thursday, May 22nd that is an actual date for 5th Annual #ChardonnayDay celebration. As explained by Rick Backas, who started the celebration, the #ChardonnayDay is always celebrated on the last Thursday before the Memorial Day holiday in US, which this year is on the May 26th, thus #ChardonnayDay falls on the 22nd. My take? You get to drink Chardonnay for two days now. Yay! Last for today, an interesting article by W. Blake Gray, conversing on the subject of the MS and what they do. 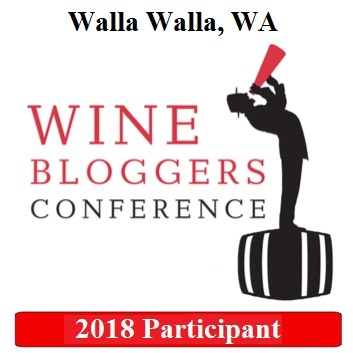 As you can guess, considering that this is the wine blog, MS stands for Master Sommelier, one of the most educated group of people in the world of wine (at the moment, there are only 214 MS in the world). The blog post analyzes how many of the Master Sommeliers actually work the floor and help people to have best possible wine experiences in the restaurant. Take a look the post, it is an interesting read – and, as usual, don’t forget to read the comments section. We are continuing our “secrets” discovering journey, this time moving few thousand miles mostly east of Veneto, Italy, which was our last stop. Now we are in the fertile mountainous region called Caucasus. To be more precise, our destination is Georgia, a small country with a rich history (the subject of Georgian Wines was already discussed in this blog, but recent encounter with Georgian Wines convinced author that this subject is worth talking about again). For the sake of this blog, we will of course focus on the part of Georgian history which relates to wine. For beginners, Georgia is widely considered a cradle of wine making. According to Wikipedia, wine production started in Georgia more than 8,000 years ago. With all due respect to so called “old world” of wine, that beats France, Italy and other European countries by about 7,000 years. Of course, truth to be told, multiple thousand years of history don’t translate directly into today’s advantage. For instance, majority of the countries which existed thousands years ago are not even remembered today. If everything goes well, that long history can only translate into traditions – good or bad, but traditions are just what they are: “typical ways of conducting certain activity”, or “an inherited or established way of thinking, feeling, or doing”, according to the definition from Merriam-Webster. Fast forward to the middle of 20th century, and Georgian wine making traditions came under attack by soviet regime and Georgian wine making industry became literally non-existent. Fast forward once again, to the last decade of the 20th century, and traditions came back into play, helping to re-born Georgian wine industry. Of course, once former soviet union collapsed and Georgia became independent, freedom had a “drugging” effect. Tremendous amount of mediocre (at the best) wine was produced, all in attempt to “get rich quickly”. This situation backfired, and Georgian wines went into “ignore” category without any chance to rise to prominence (disclaimer: these are observations from US-centered wine market). Luckily, traditions, based on real, rich history and pride came to the rescue. Fast and greedy mostly disappeared, and real wine makers and businessman took their place. Those thousands years of history and traditions became multiplying force for skills, craftsmanship and ambitions, and now started bringing us world-class wines. It is still very difficult to buy good Georgian wines in US, you have to really know where to get it, but hopefully this situation will change. Hmmm, may be we don’t need that to change? Let’s keep it secret, so those in the know can continue enjoying first-growth Bordeaux quality wines at one hundredth of the price? Time to talk about wines – after all, we need to put some substance behind the nice words. 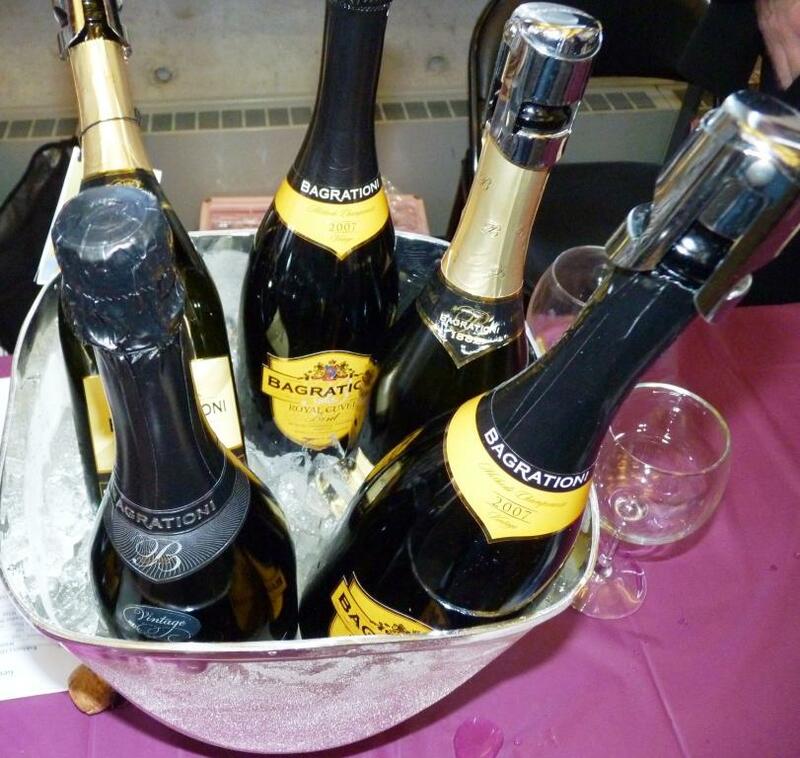 Let’s start with… Champagne? Err, Sparkling wine, of course, as Champagne can only come from Champagne. 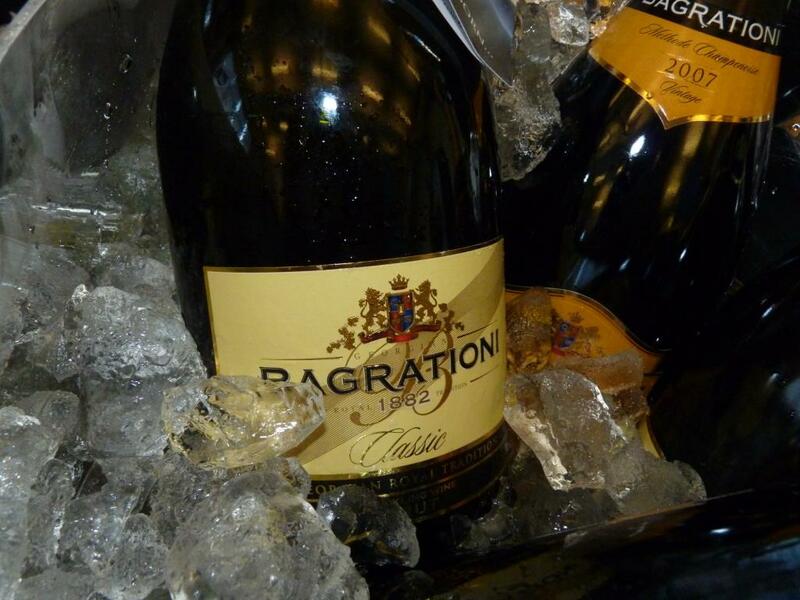 Enters Bagrationi 1882, which makes sparkling wines using traditional “Méthode Champenoise” for more than 100 years. Round, soft and creamy, with perfect acidity, bright and refreshing, this sparkling wine will successfully compete with any of the actual Champagnes and other sparkling wines. In the blind tasting (non-professional), 2007 Royal Cuvee was the best out of the 8 sparkling wines, including classic Champagnes (you can read about it here). Moving along, let’s talk about some of the most unique wines I ever had a chance to taste. 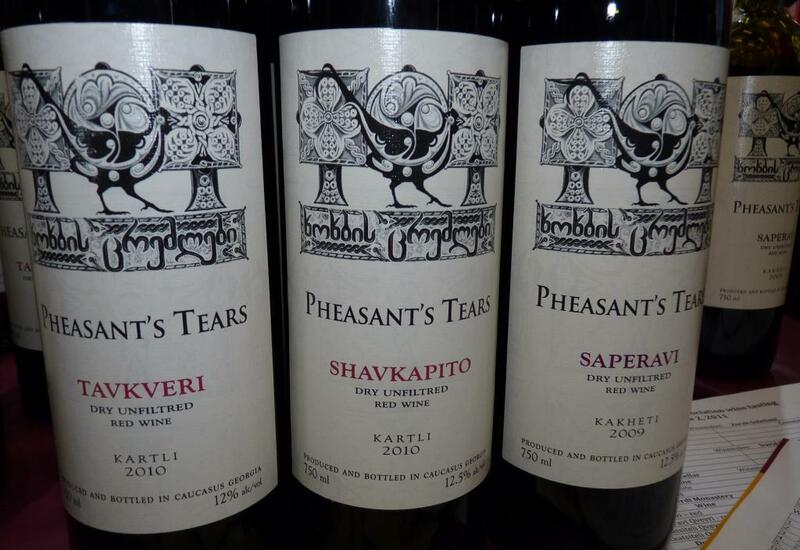 Pheasant’s Tears winery (as well as some others), produce wines using thousands-years old (talk about traditions) technology – the grapes are crushed and fermented for prolonged period of time in the clay vessels called Qvevri. The resulting wines, made from different indigenous grapes, such as Kisi, Rkatsiteli, Tavkveri, Saperavi and others, are very different from most of other wines. Both whites and reds show very nice tannins which come from prolonged contact with skin and seeds (no oak aging whatsoever), as well as great level of complexity somewhat similar to good Madeira. This wines should really be experienced, as words can’t do them enough justice. Last for this post, but not least, I want to mention true world-class winemaker-made classic wines. You know, those wines which are happily associated with winemaker or lead producer, such as Michel Roland, Christian Moeux, Helen Turley, Andy Erickson ( Screaming Eagle) and many others. These wines are made by David Maisuradze out of the classic Georgian red grape called Saperavi. Both Mukuzani and Saperavi are truly amazing wines, with perfect layered dark fruit on the palate, perfect structure, powerful tannins and excellent balance. 2005 Mukuzani shows more tannins at this point (it was aged for 24 month in the oak), and while it can be definitely enjoyed right now, it needs another 10-15 years to truly shine. Get it, if you can! Georgian wines came back to the wine lovers to take the place they really deserve, the product of love and obsession supported by deep roots and traditions. While not easy to find, they are definitely worth looking for. Make an effort, find the bottle, try it, and send me a “thank you” note later on, as I’m sure you will be inclined to do. To the wonderful wine discoveries! The subject of Georgian wines is not new on this blog – I wrote about Georgian wines on a number of occasions, and those were good occasions, or maybe rather even good surprises (you can find the posts here and here). But after I was lucky enough to attend Georgian Wine tasting in New York City, I don’t want to talk about Georgian wines in terms of “good surprises” anymore – I think Georgian wines are ready to take a permanent high place in the wine’s “who is who” world. There were about 60-70 wines presented in the tasting. I didn’t have a chance to taste each and every one of them, but among those I tried, there were no bad wines. There were some which were regular, there were some which were good, there were some which were great, and there were a few which were amazing. I think this is a pretty good line up for the wines which I would collectively avoid only about a year ago, as those were mediocre at the best. There is a definite trend up in the quality of the Georgian wines, and I believe a lot of them are ready to meet discerning palates of the wine lovers around the world. Let me share some of the notes and thoughts, supported by practical examples, of course. 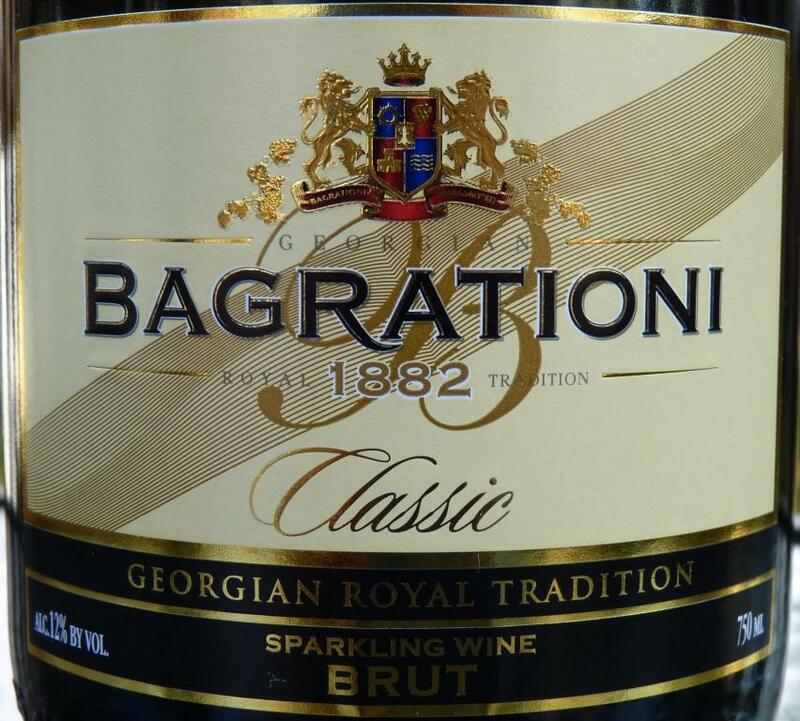 I already wrote before about Georgian sparkling wine called Bagrationi. It is produced for more than hundred years, using traditional Méthode Champenoise. This time I had an opportunity to try four different wines, and they all were very good, but 2007 Bagrationi Royal Cuvee was a standout for me. Medium body, very balanced acidity, very round overall. 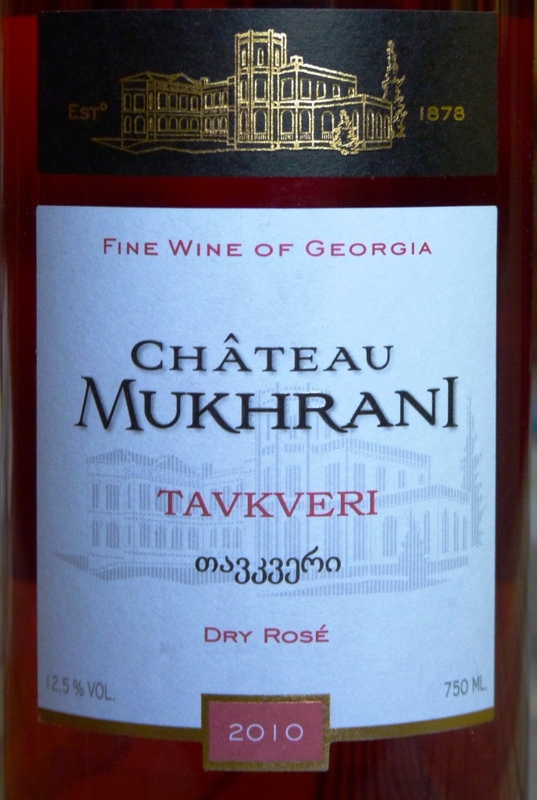 My next personal favorite was 2010 Chateau Mukhrani Tavkveri Rose. This was one of the number of excellent wines presented by Chateau Mukhrani, and it played to my particular weakness to the Rose wines, especially during summer time. This wine is made out of the indigenous Georgian grape, Tavkveri, one of many other grapes which don’t grow anywhere else (based on information from Wikipedia, there are about 400 varieties growing in Georgia, with less than 40 used for commercial winemaking). It is not easy to produce a rose wine with the character. Lots of available rose wines from all the different regions are virtually indistinguishable – a little bit of strawberry, and a little bit of acidity, nothing memorable. The Chateau Mukhrani Rose was totally different – lots of concentrated berry flavors, cranberries and sour cherries, all supported by very balanced acidity and long finish – truly a great Rose. Another wine from Chateau Mukhrani I have to mention was 2009 Chateau Mukhrani Shavkapito. Another indigenous grape, Shavkapito, and yet another great tasting wine – good dark fruit expression, very round and layered with smooth and approachable tannins. 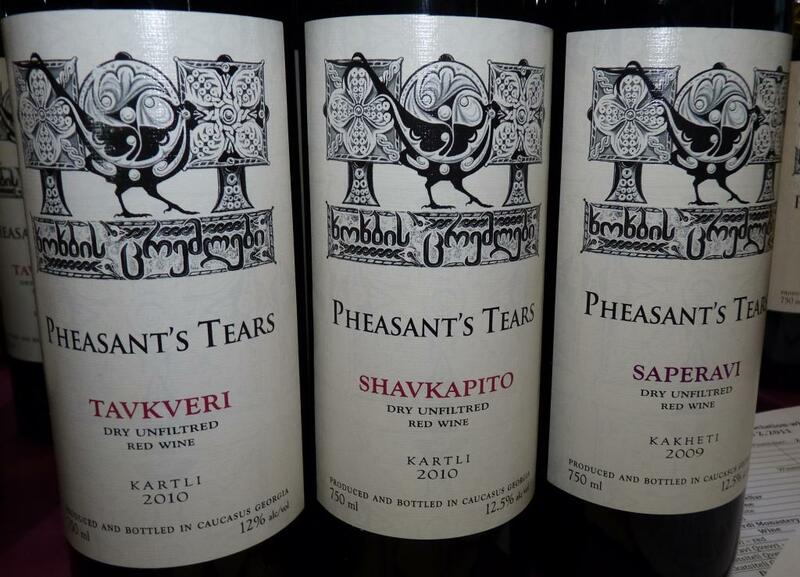 Next group of wines I have to mention are the wines made by Pheasant’s Tears and Alaverdi Monastery. What puts these wines aside even in such a distinguished crowd is a very unique method of making wines. Both wineries are making wine using qvevri, a clay vessel lined with beeswax, which is used for fermenting and aging of the wine. There were a number of wines presented, both red and whites, all made using qvevri. The white wines were especially unique, as they sported a deep yellow color, which is typical for really old white wines, but not for the white wines which are one or two years old. Most of those white wines also showed quite extensive tannins – without being aged in the oak. All of those characteristics ( deep yellow color, tannins) are coming from prolonged fermentation and aging process which takes place in the qvevri, where grapes are crushed and juice stays in the contact with the skins and seeds for the period of up to 6 months. In addition to unique color and tannins, some of the white wines also exhibited Madeira style saltiness, coupled with enough sweetness and acidity to make overall experience very pleasant. These are really unique wines, and you should try to find them – if you can. Last but not least are the wines which were my absolute favorite in this tasting – Mukuzani and Saperavi red wines produced by Maisuradze wines. 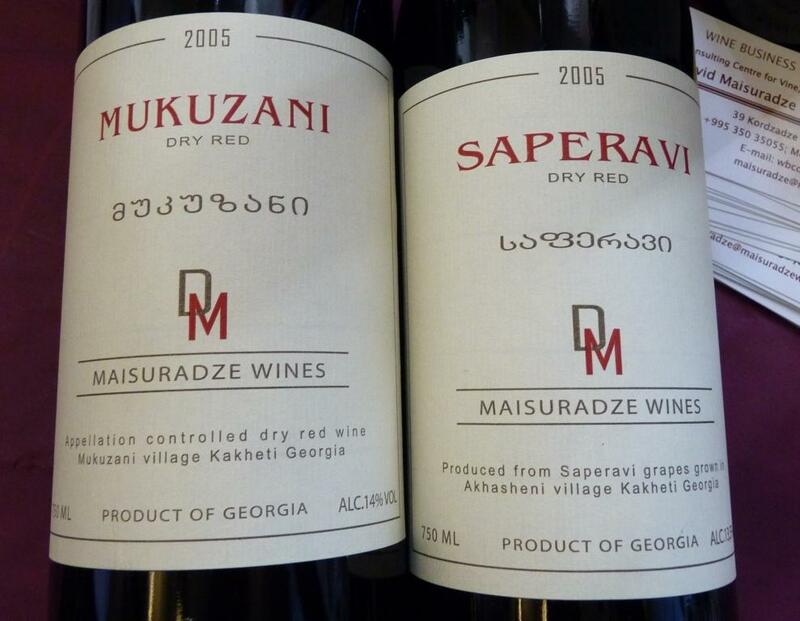 Both 2005 Maisuradze Wines Saperavi and 2005 Maisuradze Wines Mukuzani are produced from Saperavi grape – one of the most popular grapes used in the production of the red wines in Georgia. The difference between the wines is that Mukuzani contains only Saperavi grapes actually grown at Mukuzani vineyards. Another difference is the aging time in oak – Mukuzani spent 24 months in oak versus 12 months for Saperavi. Both wines are showing tremendous power and structure, and while Saperavi is more approachable, Mukuzani still needs time in the cellar – it will truly shine after another 10 years (at least) in the cellar. Both wines are excellent and definitely worth seeking. Bottom line is simple – Georgian wines are ready for the prime time. They need a bit of marketing, and a bit of luck, and then we will all have more wines to enjoy. But for now – takes this post to your local wine store, and ask them to get these wines for you – and then let me know what you think. One more year is passing by, becoming memories. As the closing bell nears, we often like to count good things which happened during that year. After reading the post by Joe Roberts, where he talks about his ten most interesting wines of the year, the idea for this post was born. 12. Haut Charmes Sauternes 2007 ($17). One of the best Sauternes I ever had – clean, balanced, with white peaches and honeysuckle on the palate. Few reasons to be in the “Top Dozens” – legend has it is declassified Chateau D’Yquem, plus great QPR for the Sauternes. 11. Cambria Bench Break Chardonnay 2006, Santa Maria ($25). For the first time in a long while, California Chardonnay tasted like California Chardonnay – lots of vanilla, butter and toasted oak on the palate, extremely balanced at the same time. Real Chardonnay as opposed to wimpy white wine without identity. 10. Hamilton Russell Vineyards Pinot Noir 2008, South Africa ($40). Totally unexpected – amazing Pinot Noir from South Africa (!). Profoundly Burgundian style, with tremendous finesse and balance. Great QPR. Worth seeking – if you like Pinot, you will enjoy it immensely. 9. Flora Springs Soliloquy Sauvignon Blanc 2009 ($18). Literally the best California Sauvignon Blanc I ever had. In general, I love French, New Zealand and Chilean versions, and ignore California Sauvignon Blancs. However, this wine you can not ignore – beautiful combination of traditional grassiness with fruit forward and finesse. Outstanding! 8. Visp Chantone Eyholzer Roter 2008 ($26). Swiss wines are great – it is unfortunate that they literally can’t be found in US. I’m lucky to be able to experience the Swiss wines – and this particular red is probably the best Swiss wine I ever had. Playful, balanced, easy to drink and thought provoking – good till the last drop. 7. Domaine de Granajolo Corse Porto-Vecchio 2009 (€12). Best Rose wine I had in 2010. Nuf said. 6. Domaine de Torraccia Niellucciu 2009, Corse Porto-Vecchio (€11). Accidental find in the wine shop in Paris (while hunting for the new grapes) – amazing. Playful, balanced and inviting – pure pleasure in the glass. 5. Chateau Hosanna 2003, Pomerol ($100). One of the best Bordeaux wines ever. Very approachable now, and will be amazing in another 20 years. 4. Jamesport Petit Verdot 2006, Long Island ($100). One of the biggest surprises of the year – having only bad experience with 100% Petit Verdot wines from Australia, this wine was absolutely pleasantly unexpected. Luscious , silky smooth, concentrated wine – no edges or rough corners. Lots of pleasure. 3. 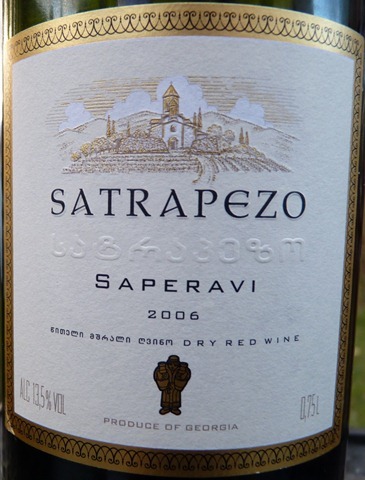 Satrapezo Saperavi 2006, Georgia ($28). This wine completely changed my perception of Georgian wines. Georgia was a birthplace of winemaking, but tasting Georgian wines until recent was saying that the art is lost. This wine changed that. Perfectly balanced and restrained, with earthiness, fruit, acidity and tannins coming to play as a team. Great wine, and great value. 2. Rozes Over 40 Years Old Port ($90). My best port ever. I can close eyes and imagine the smell and taste of this wine – multiple layers, tremendous complexity and great opportunity to reflect on life when the finish lasts for 15 minutes. Find this wine and experience for yourself. 1. 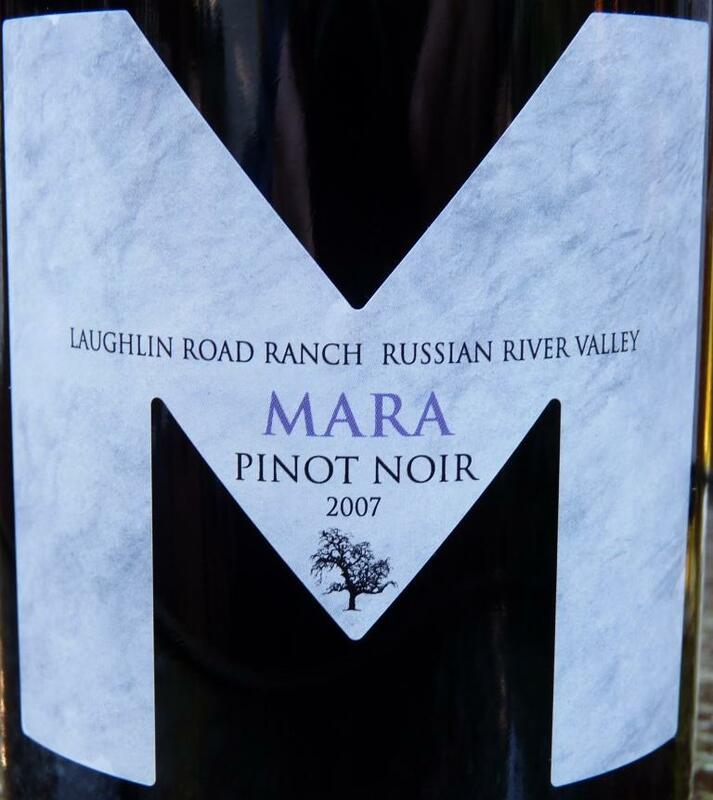 Mara Laughlin Road Ranch Pinot Noir 2007, Russian River Valley ($45). Incredibly balanced, silky smooth wine, very powerful and round. Alcohol content is 15.6%, and it can’t be noticed unless you read the label. Great wine now, will improve with some cellar time. Find it if you can. There were many other wines worth mentioning, and I did my best throughout the year to cover them. The wines in this group delivered special experiences – that’s why they listed here. That’s all, folks – for this post. I will be glad to hear, however, about YOUR special wines and wine experiences from 2010. Speak up – now is the time! When Was The Last Time You Had Georgian Wine? Let me repeat the question – when was the last time you had wine from Georgia? I don’t mean one of the US states down south, I mean the Georgian Republic, the country bordering Russia in South Caucasus. I would expect that for some of you the answer will be “long time ago”, and for many others – never. And this is rather expected, but now is the time to change that. Based on many sources, Georgia is regarded a birthplace of the winemaking. It is considered that winemaking in Europe goes back 5,000 years. Winemaking in Georgia seems to have a little edge over that with start at around 7,000 years ago. While we appreciate historical references, we are drinking the wines now, so the current state of affairs (I mean, of course, winemaking) is a lot more of interest. Georgia’s wine industry had been through some rough times, starting with Prohibition attempt in former USSR during the 1980s. After Georgia became an independent country, there was a quick turnaround – for profit, it is. A lot of bad wines were produced in Georgia, and even more false Georgian wines were produced outside of it, to take advantage of historical value recognition of the Georgian wines. Luckily, as capitalism is taking hold in Georgia for good, there is a similar change in the Georgian winemaking, with honest people coming back to make honest wines and restore the “pride of the land”. Seeing (oops, sorry, I meant tasting) is believing. 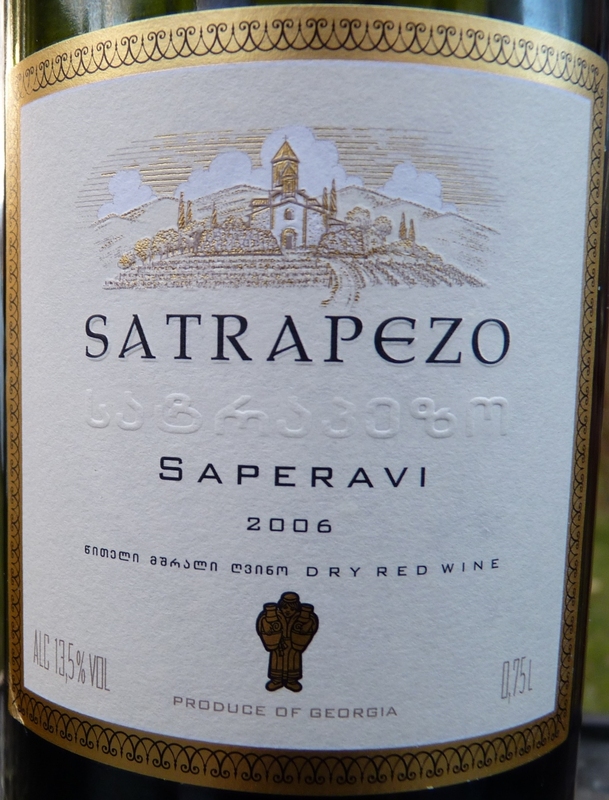 Tasting the wine called Satrapezo, made from one of the Georgian authentic grapes, Saperavi, completely changed my perception of the Georgian wines, which I was definitely avoiding for a while. This wine is produced at the winery called Marani. Marani is really focused on making great wines, and it is showing in this flagship wine. Beautiful deep garnet color, layers of concentrated fruit (old world mature style, nice and gentle) and silky smooth tannins, balanced with good acidity and a very long finish. This is the wine to enjoy,…and enjoy, …and enjoy. In terms of Drinkability, this is definitely a 9. Another example was (totally unexpected to me) sparkling wine called Bagrationi. Made from three authentic grapes ( yay, Treble Journey advance! ), Chinebuli, Tsitska, and Mtsvane, this wine had all the classic champagne traits – yeasty nose, hint of apples and fresh bread on the palate, dry and refreshing. There are a lot more of Georgian wines to discover and enjoy. I’m glad to add Georgia to my personal wine map – and I highly recommend for you to do the same. Go find a bottle of Georgian wine and enjoy the results of 7,000 years of winemaking history!